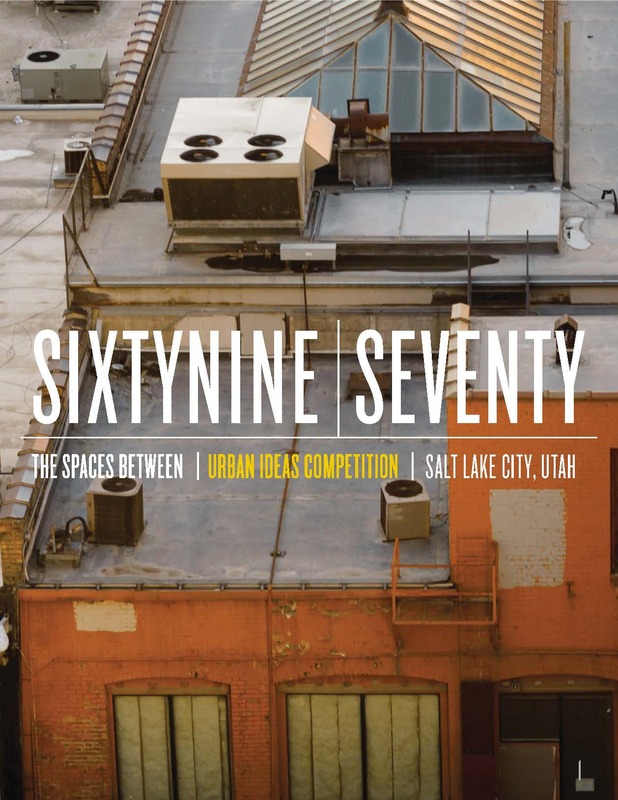 Sixty‐Nine Seventy invites design teams from around the world to re‐envision the circulation areas and passages of two blocks in Salt Lake City’s downtown. The entrants will prepare comprehensive ideas for these in‐between spaces, developing them into the connective tissue linking the area’s cultural amenities. Salt Lake City boasts a stunning natural setting, numerous cultural amenities, a unique history, a vibrant retail core, and a thriving and diverse business community. Currently, it lacks connection between many of these elements. The design competition seeks to harness ideas from around the world that will activate the spaces between with creativity deeply rooted in the city’s rich context. We hope new ideas will act as a catalyst for design‐led growth downtown, helping redefine blocks sixty‐nine and seventy, and the evolution of Salt Lake City as a whole. We want the fabric, textures, and essence of this city to create an energy that gives back to all who engage it. 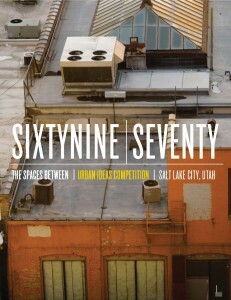 SixtyNine‐Seventy, The Spaces Between: An Urban Ideas Competition launches on January 10, 2013 with a party at 7:00 PM at Squatters Pub. The competition and launch party are open to everyone. For those not able to attend the opening night presentations will be posted on the web immediately following the event. Entries will be judged by a panel that includes architects, artists, urban planners, historic experts, and politicians. Two winning projects and fifteen finalists will be eligible for the People’s Choice award. Finalists will be displayed at the Leonardo, around the city of Salt Lake, and online at www.sixtynineseventy.com for public viewing and voting. 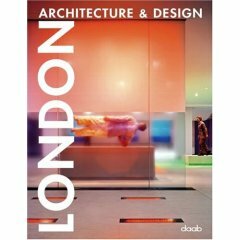 Winners will be announced in June, 2013. Competition details and registration can be found at www.sixtynineseventy.com. The competition organizers are the AIA Utah Young Architects Forum and the Downtown Alliance in collaboration with Utah Heritage Foundation and many other passionate thinkers and planners of our capital city. We are architects, urban planners, landscape architects, artists, historians, graphic designers, film producers, performance artists, and elected officials who have a common vision for our city’s evolution.